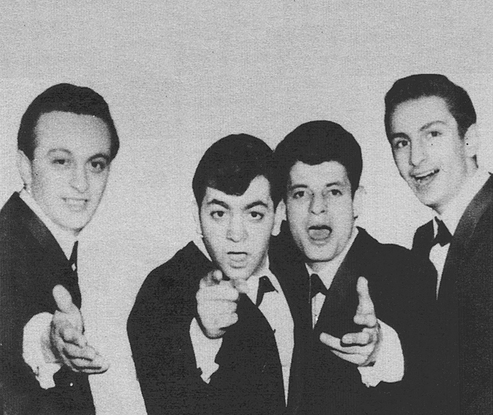 Pat Zito, Joe Nunez, Lou and Jimmy Beneveto from Williamsburg section of Brooklyn, formed a vocal group. Night after night, they would harmonize on the street corners with each other or with friends such as Eugene Pitt and his group, the Jive Five. Sam Hawkins (Who had a hit of his own "king Of Fool) introduced the group to Goldie Goldmark, Vice president of Imperial records. They auditioned a song they had written "The Sweetheart Song" and were told that someone from Imperial would get in touch with them soon. In the meantime, the group needed a name, At first the name Tear drops appealed to them, but they soon rejected it, believing that it sounded too similar to the name of another group. By chance, Joe quickly suggested they change Tear Drops to Rain Drops. It was not long before they were contacted by bandleader and arranger, Leroy Kirkland , who was then worked for Imperial. Kirkland had refashioned the Five Satins hit "In The Still Of The Night". The group went into the Beltone studios and cut Four sides. 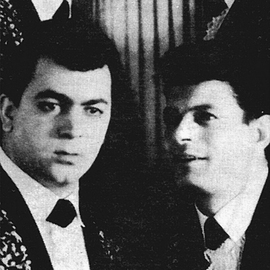 two remain unreleased and the other pair, "In The Still Of The Night" coupled with their own "Sweetheart Song" were issued but the record was a commercial failure, and the dischanted Rain Drops broke up. Joe Nunez & Pat Zito then decided to form another group the Jumpin Tones. Thanks to Joe Nunez JR.